When it comes to marketing reporting, conversion tracking is one of the essentials your report should cover. Conversion tracking tools are important because they can give you a very good idea of where your traffic is heading and help you make better marketing decisions based on your observations. Whether that involves making your website better so more people convert once they arrive there or improving your ads to drive more traffic to your site, it will all lead to a better conversion rate. So how do you keep track of your conversions? There’s a wide range of tools out there to help you achieve your conversion tracking goals. But from them, we have selected eight of the top conversion tracking tools that we think are the most useful to any marketer embarking on their conversion tracking journey. Google Analytics is probably the first tool that comes to mind when any marketer thinks of analytics. And with good reason, Google is the biggest search engine in the world so measuring and tracking your presence and success on Google is crucial for your business. Google Analytics allows you to visualize your website traffic data through dashboards and various charts. From page views and bounce rates to session duration and the age and language of your visitors, Google Analytics allows you to track the in-depth details of your website’s data. Website conversion tracking is one of the many features this tool has to offer. Simply put, Google Analytics tracks page-by-page data and, in a conversion tracking context, it will tell you which pages lead to the most conversions for any given time period. Another tool from the Google family which can’t be ignored when it comes to conversion tracking is Google AdWords. This is an online advertising tool, which allows marketers to pinpoint audiences through specific keywords and target consumers searching for these keywords. In Google AdWords, the ranking of an advertisement depends on the bids specified for each keyword, as well as the ad’s quality score – which is determined by its relevance to the user searching for the term. Once you’ve set up a campaign, in AdWords you can track the conversions driven by your paid ads, whether the aim of your ads is to generate online sales, app downloads or in-app actions etc. Once you know which ads are working for your business, you can allocate your budget and improve your other ads accordingly. Knowing which keywords lead to the most conversions from a specific audience is also a great insight that you can use to boost your ROI and grow your business. Importing your Google Analytics goals into AdWords conversion tracking also allows users to access conversions and data related to your AdWords clicks. Needless to say, if you’re running a Google AdWords campaign, then it is a must for your conversion tracking process. Mixpanel provides tools for targeted communication with users interacting with a website or mobile app. It defines its mission as “Helping the world learn from its data”. The data collected is then used to build custom reports that show users’ journeys and actions, including conversions. 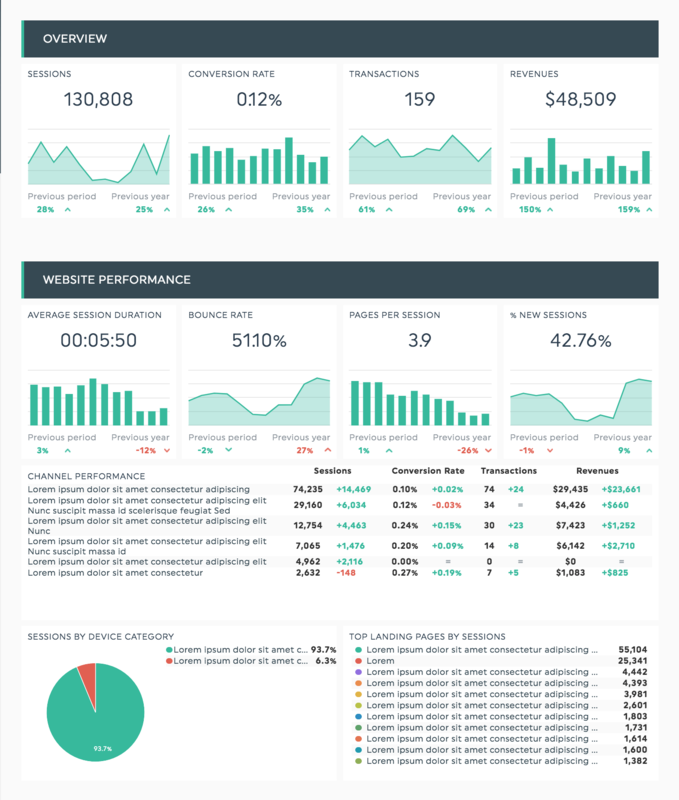 As opposed to Google Analytics, Mixpanel tracks people rather than pages. 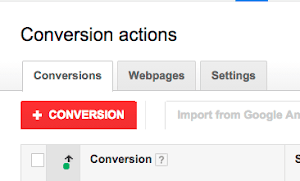 With this tool, you can figure out the previous actions any user took before converting. Using Mixpanel alongside Google Analytics will provide useful insights on completely different aspects of your website’s analytics. ClickMeter is used to monitor, compare and optimize all your marketing links so you can see which ones are garnering the most clicks and conversions. It gathers all this data in a single place so marketers can optimize their campaigns and increase their conversion rate. 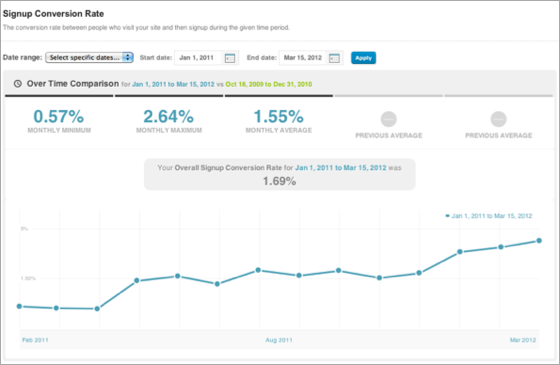 So conversion tracking is one of the many purposes ClickMeter can be used for. It was specifically created to help users see which traffic sources a business benefits from most, so marketers can focus their efforts on the channels that drive the most traffic and customers to your business to boost conversions. Rather than being an alternative to tools like Google Analytics, ClickMeter can complement other tools to get the full picture of how users get to your website and what they do once they get there. Intercom is a communication tool which acts as an intermediary between your company and your customers. It’s used to display messages destined for your clients directly on your website or app. You can share news through pop-ups, create demo videos for users to see when they connect to your app and engage with your audience in a way that feels personal. All these things are made to get your customers to convert more. Though it is a customer service tool, Intercom also allows you to track customer behavior on your website or application. You can set up the conversions you want tracked – or events, as Intercom calls them. This allows you to send out messages automatically when visitors have completed an action, like when they use a discount code or upgrade their plan. You can also track actions like the use of a new website feature, so you can see if something new is proving popular and follow up with those who tried it out. Crazy Egg helps businesses get a very detailed picture of what visitors do on their website. The paths they follow, what makes them leave, how they click and scroll through pages, these are all questions Crazy Egg answers. Its tool can generate heat maps to let you see exactly which parts of a page receive the most attention from visitors – the most viewed, hovered on and clicked parts. Knowing how users interact with your web pages before converting can allow you to improve your website so more users will follow their lead. Through A/B testing, simple website edition, and numerous kinds of traffic insights, Crazy Egg is a great tool that will help you place key content, CTA buttons and links in the perfect position so you can make the most out of your website. As the most popular social media platform on the planet, it’s likely that Facebook is already part of your business’ marketing strategy. A major perk of one of its integrations, Facebook Ads, means it possible to reach a very specific audience. Facebook offers extremely targeted advertising and allows you to filter your audience according to numerous factors such as age, location, interests, and behavior. You can even use retargeting to display ads to people who have already visited your website, but didn’t convert. Once your campaigns are rolling, you can use the tool’s tracking to see which ads drive the most conversions. This highlights which tactics work best, how ads can be optimized and how your marketing budget can be allocated wisely. DashThis is a reporting tool that can be used conjointly with your other conversion tracking tools. It connects with over 30 popular marketing tools and can gather the data from all these platforms into concise dashboards. When dealing with data from several sources, its reporting software will gather your metrics in a single report. So you don’t have to manually copy-paste conversion results from one source to the other. You can also import data from CSV files if you want to add in your own measurements. For any marketer looking to start tracking conversions, these eight tools should get you off to a great start. Each and every one of these tools serve different purposes and are bound to help you better orient your marketing strategy so you can make sound decisions based on your conversion tracking data. Use this data wisely, and we can promise you your business’ success is off to reach skyrocketing new heights! 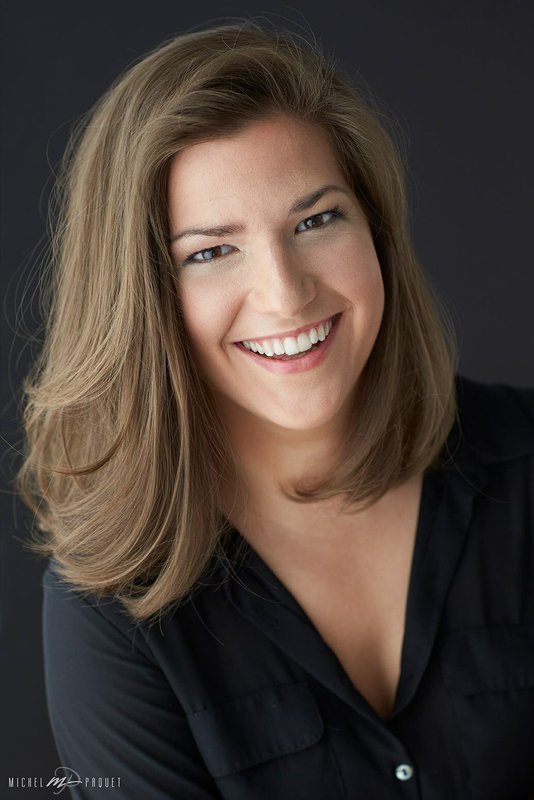 Words have always been part of Alexandra’s life and it’s a good thing she loves them because there isn’t anything she’s as good at – besides some serious Eminem imitation skills. A screenwriter and published novelist, she’s now a content writer at DashThis, where she educates marketers on the importance of effective reporting.